After an amazing release in North America on Xbox One, Emily Wants to Play will release on Xbox One for European countries and Brazil on October 14, 2016. 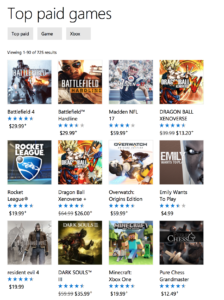 Emily Want to Play had a great release in North America on Xbox One. It was in the top ten charts for weeks and it is still hanging out in the top 50. European and Brazilian fans requested the game so I immediately went through the PEGI rating process and resubmitted the game to be released in more countries. It now has a PEGI rating and will be released October 14, 2016 for Xbox in Europe and Brazil. And for the PlayStation 4 fans out there, Emily Wants to Play is also heading to PlayStation 4 in Europe. The process isn’t completely finalized yet, but I think it will come out sometime late October. I will post the release date on this website and my twitter @EmilyWants2Play. Emily Wants to Play has been in the top ten of Xbox One paid games.